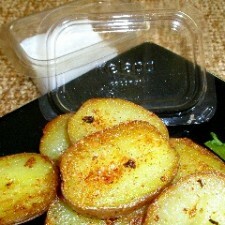 If you are looking for the perfect potato side dish you found it! This is just as good as french fries, but a lot more healthy. This is just a base recipe, you can add any kind of seasonings or sauces you like. Experiment with it a little and let us know your favorite variations! Scrub potatoes. Bring a large saucepan of water to a boil, add potatoes and let simmer for 20 minutes or until tender. Drain. 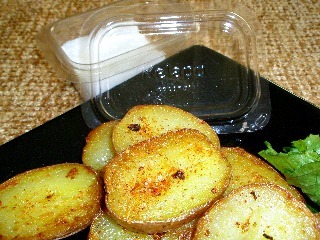 Run under cold water to cool the potatoes down and cut each potato into 1/8 inch thick slices. Heat coconut oil in a large skillet. Place the potato slices in the pan with all seasonings. Flip potatoes once they are slightly brown on one side. When potatoes are cooked through and slightly brown on both sides remove from heat and serve with your favorite steak, burger, or chicken!